Add in a watery twist with Freshening Water Mist! 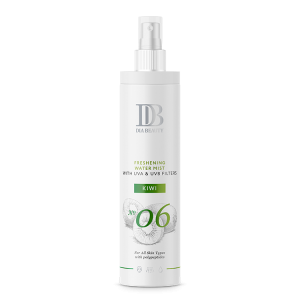 This moisturizing spray is suitable for all skin types and can be used as a skin toner before applying a face cream or an independent moisturizer. The Kiwi Extract provides freshness, fights skin pigmentation, and leaves a healthy glow. It instantly moisturizes and soothes the skin from impurities, perspiration, and sea salt. 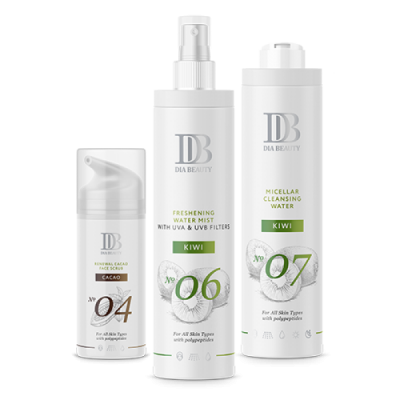 The water mist is ideal for hot weather and includes UVA & UVB filters. Restore the skin's natural water balance with Freshening Water Mist with Kiwi, leaving the skin looking radiant and fresh! Ultimate hydration and clear skin is more than just a dream with Micellar Cleansing Water with Kiwi. 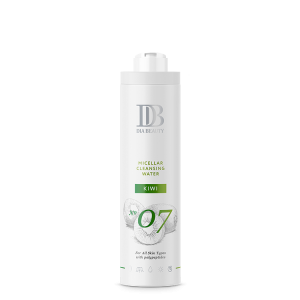 This cleansing water is intended for the eyes and face, alcohol-free and featuring a Kiwi Extract, which provides refreshment and fights pigmentation. The moisturizing effect of Olive Oil and Argan Oil restores the skin’s feeling of well-being without a tightness sensation. It effectively removes grease, impurities, and make-up. Use on its own or after a face cleanser to complete your daily routine cleansing. Get an extra Kiwi boost with Micellar Cleansing Water with Kiwi! Host a Cacao Spa Home Party with the Cacao Regeneration Face Scrub! This is a creamy scrub for exfoliation and rejuvenation of the skin. 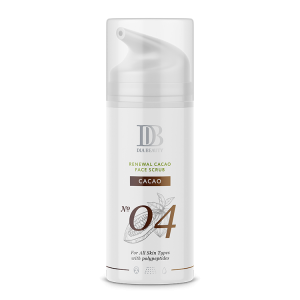 It removes dead skin cells and boosts absorption of care products while at the same time leaving the skin smooth and moisturized. Olive Oil, Argan Oil, and Cacao Butter together protect your skin from dryness, render exfoliation soft and safe, fight pigmentation, and nourish the skin. Polypeptides, meanwhile, fight aging changes in the skin, making routine care more effective. Clear the way for more beautiful skin with Cacao Regeneration Face Scrub!